Morris Roscoe Nanney loved Montford Cove. In 1965 he wrote this description of his birthplace. I included it out of chronological order because he was writing about his grandmother Miz Polly Stott and his father, Moses Frank Nanney, who lived during the 19th century. I posted this in the words of the first writer to preserve his storytelling flavor. Frank married Mary Mollie Stott, born in 1866, the daughter of John Stott and Angeline Hall, daughter of Macaga Hall and Nancy Wilkerson. When John Stott died, Grandma Polly moved in with Frank and Mollie, who would become my friend Mary Glenn’s grandparents. The first plastic surgery, the first phonograph, the first toy balloon. A soda fountain, stethoscope, raincoat. How about the light bulb, telephone, typewriter and sewing machine! It was the age of tools, and the men got new toys: McCormick reaper, corn planter, the propeller, the telegraph and Morse Code, rubber vulcanization, and the electromagnet. And wrenches. And matches. It was the beginning of postage stamps, the stapler, mercerized cotton, and the dental chair. Yay for anesthesia for tooth extraction! The ladies got the safety pin, and help with chores from the refrigerator, dishwasher in 1850, and the washing machine. That was just the first part of the century. I forgot to mention the internal combustion machine and pasteurization. The men liked the invention of air brakes, the ladies liked the first Ward’s mail order catalog in 1872 and the Bissell carpet sweeper. And the phonograph. And moving pictures. Double YAY for toilet paper in 1880! Miz Polly was already amazed I’m sure. I can just hear her say, “What will they think of next?” But then came the automatic piano players–FUN! Benz brought out the first practical auto powered by an internal combustion engine. The same year Daimler brought out the first gas-engine motorcycle! Entertainment was looming large on the horizon. The gramophone, Coca-Cola, and in 1895 a portable motion picture camera called Cinematogrephe. All this required an invention of a mechanical cash register for the customer’s money. By then we had drinking straws for our Cokes and wearable contact lenses. Matches came in books, not only boxes. Behind the scenes, radar was developed along with smokeless gunpowder and the steam turbine. In 1893 we got zippers. Then came the rubber heel, roller coasters, and a motor driven vacuum cleaner. 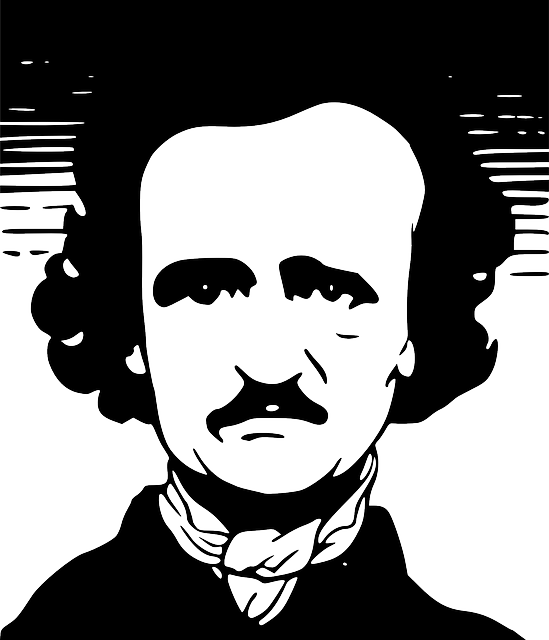 As a writer, I would be remiss if I didn’t call attention to a few outstanding works of fiction during this time, such as: Pride and Prejudice, by Jane Austen (1813), the famous Edgar Allan Poe short story “The Tell-Tale Heart,” in 1843, and of course, The Adventures of Huckleberry Finn in 1885 by Mark Twain, one of the greatest American humorists (Samuel Langhorne Clements). I have no idea if Miz Polly read these but surely she heard of them. By the way, the Cunard cruise line started in 1840, and they are celebrating their 175th anniversary this year. You can take advantage of a sweepstakes for the special birthday. And I will mention that on Queen Mary 2, fabulous Crosby, Stills, and Nash will be performing. And actress Jane Seymour will be giving painting lessons! I don’t know if Miz Polly ever took a cruise, but I’d say she noticed an incredible lifestyle change even if she just looked at the pictures in Ward’s catalog. I am wondering if Richard Sear’s American classic, The Sears Catalog, got to Montford Cove. It came out in 1894 titled “Book of Bargains: A Money Saver for Everyone.” Everyone remembers The Big Book. And later, “The Christmas Book” which I memorized. Miz Polly had a front row seat for drama in the increase of her family. Three people around 1827 mushroomed to fourteen grandchildren, sixty-one great grands and twenty-two great greats in 1902. Some of those were Nanney children from the marriage of Moses Frank Nanney to Miz Polly’s granddaughter Mollie Stott. 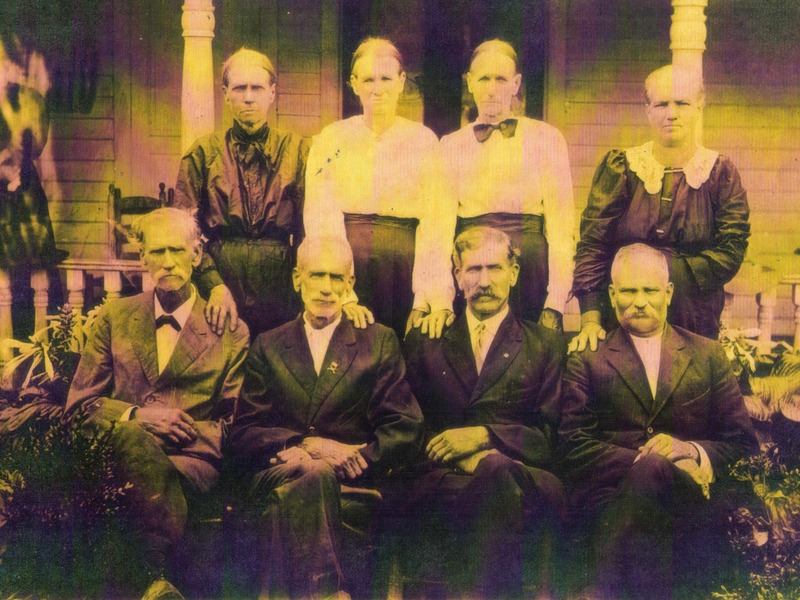 This is a photo of Frank Nanney (born in 1862) with seven of his brothers and sisters. Probably around 1927. These were the children of Col. Amous Nanney and Tempie Wilkerson, the daughter of Jethro Wilkerson and Polly Morgan who lived on Cove Creek. They lived the progress brought by an Industrial Revolution. Mary Glenn clipped an old photo of a covered wagon that “Uncle Lum” drove to sell his cash crop. It took him two weeks to peddle these apples in an oxen-drawn wagon across the county, from Old Fort west of Montford Cove to Caroleen at the southern state border. He was also a blacksmith, and I’m guessing that was a vocation learned by necessity. As was a nickname “Squire.” He seemed to be a multi-tasker. The mountain part of the county didn’t change. But to the east of Montford Cove, Morris Nanney’s cousin Harvey Albert Nanney, born in 1890, saw Crab Apple Gap grow into the bustling city of Unions Mills because of the railroads. The local folks didn’t like the result of incorporation and later voted to reclaim their sleepy village atmosphere. Hear the rest of the story next week. This entry was posted in Nanney Saga, Setting and tagged Morris Roscoe Nanney, Moses Frank Nanney. Bookmark the permalink.